It seems that the Switch doesn't play well with adhesive coating. If you just got your shiny new Nintendo Switch and were hoping to customize it with some fancy skins and such, then you're gonna want to pass on that idea. It would seem that the Switch does not play well with the adhesive coating used on these sorts of things, and it's not just fans who are pointing it out. 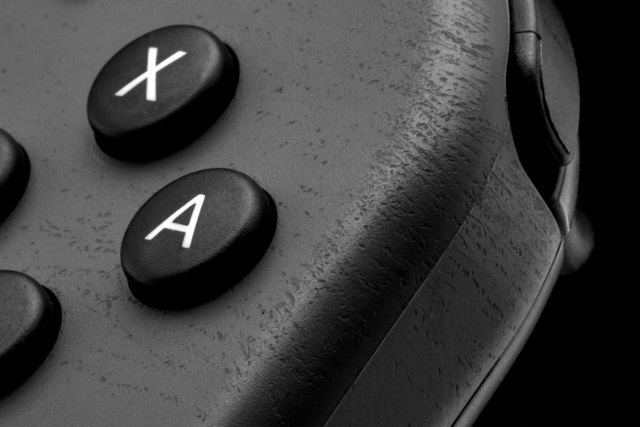 Skin manufacturer Dbrand reached out recently to warn people not to apply any skins they had acquired for the Switch, and are even offering refunds for any that were bought through them. After testing on multiple Switch devices, the company came to the conclusion that it's simply manufactured in some way that causes the outer coating to peel off a bit. You can see images of this both above and below. Both the tablet itself and the joy-cons are susceptible to this, so do yourself a favor and do not apply any sort of skin or sticker to your Switch. Dbrand is obviously no longer selling these skins and has a warning up for those who look for them on their store. Good on them, to be honest, though it would have been nice if we'd have known about this prior to the console releasing. What's interesting is that Nintendo apparently sells a Zelda skin of its own, but it's unclear if this causes the same issues. Personally I've never been one for customizing my hardware with these sorts of things, but if that's your bag then hopefully you haven't jumped on it already.